Welcome to our Christmas Issue. December2013, Issue 26. Full of Features, not Adverts! We have some fantastic reads for you this month. 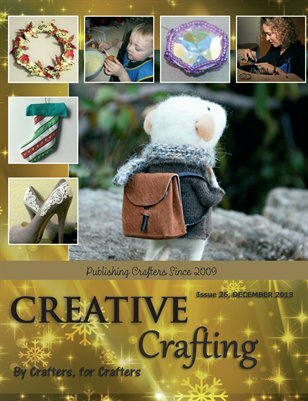 Amongst these we have a wonderful interviews with Johana Molina of Felted Dreams, projects on how to make Christmas Decorations, homemade Wrapping, tasty recipes, product features and much much more. We hope that you enjoy our festive issue and would like to thank you for your continuing support as we look forward to publishing ‘you’ for many more years to come.